After moving Molchan Marine Sciences to Florida and spending the last couple of years working on maritime security and port expansion projects in Florida ports, I thought it was appropriate to share some thoughts with MOTN members regarding the Marine Technology Transfer, port growth and business opportunities within the state of Florida. I will focus on the growth and expansion of three major ports in Florida. Port Miami: In 2014 Port Miami completed an underwater tunnel entrance to the port doubling the potential traffic/cargo volume into and out of the port in anticipation the additional vessels transiting through the expanded Panama Canal. Environmental impact studies were required for much of the work leading up to the tunnel build. The port installed and is actively using their post panama cranes accommodating larger vessels with greater cargo capacity. The port is currently in the process of deepening the cargo channel to 50-52 feet requiring hydrographic survey support. The rising tidal waters in south Florida will impact Port Miami and Port Lauderdale/Everglades in our lifetimes both positively and negatively. One can anticipate the need for making changes in port infrastructure affected by the sea level rise (power, water, sewage). While there has been a downplay regarding water level rise as a real threat to ports, Molchan Marine Science’s anticipates additional oceanographic instrumentation and accurate water level rise predictions and impact studies will be vital to port planers/operators as we move toward the end of the decade. Port Canaveral: Canaveral Port Authority recently invested over $350 million dollars enhancing cruise terminals and enlarging berths and at dock depths in anticipation of receiving larger and deeper draft vessels. 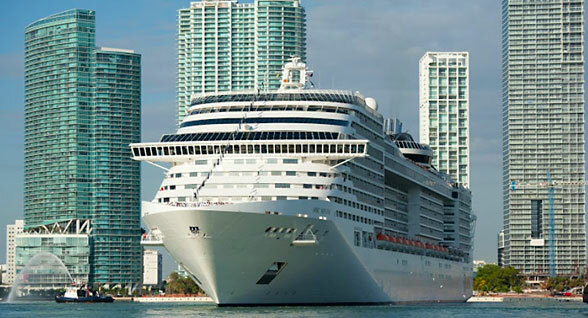 Cruise traffic will double and cargo increase by 20 fold within a five year period. MMS and many other companies provided consultancy in waterside security, environmental impact, infrastructure changes and port resiliency. By 2017 Port Canaveral will have added fixed rail to its multi-modal capability by improving the railroad connection with a NASA rail line that connects to the Florida East Coast Railway. Technology companies that can provide innovative solutions to rail security as well as support distribution centers engaged in global logistics should get engaged early in the port growth process. Port of Jacksonville: Jacksonville is a port with a tremendous amount of property covering a very large span of waterfront along the St John’s River. 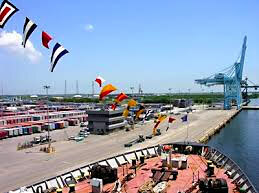 The port includes three cargo facilities and a cruise terminal. Similar to the strategy of ports to the south, Jacksonville Port Authority is deepening the St. Johns River to 47 foot depth to add more than two million TEUs to the ports current container volume. A project to improve navigational hindrances for deep draft vessels is occurring in 2015 allowing the port to remove some of the current maritime traffic restrictions. They are currently building an intermodal container transfer facility at Dames Point to assist in the direct transfer of containers between cargo carrying vessels and train. There are plans to build a LNG terminal in North Jacksonville to supply fuel to both ships and trucks. Technology companies that provide LNG safety and security technologies, post dredging surveys, aids to navigation support and intermodal software improvements for global cargo logistics centers may have opportunities to support Port Authority of Jacksonville in their port improvements.